Spanish side Levante have signed Algeria international defender Carl Medjani, 30, until the end of the season. He has been a free agent since November when his contract with Turkish side Trabzonspor ended by mutual consent. Levante, who are currently bottom of Spain's La Liga, have an option to extend the contract for anther season. 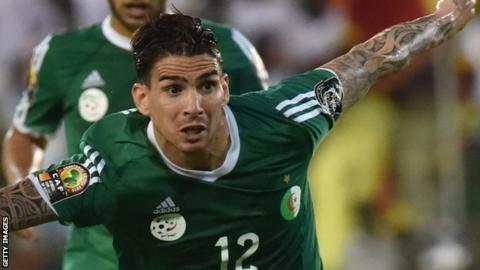 Medjani was part of the Algeria squad at the 2015 Africa Cup of Nations and at the 2014 World Cup in Brazil.